During his life, Charles Dickens (1812-1870) was known not only for his novels, but for his scientific research and public health advocacy. The Charles Dickens Museum near King's Cross rail station in London recently opened an exhibit on Dickens' scientific influence. The Hospital For Sick Children on Ormond Street was the first pediatric hospital in London, founded thanks to Charles Dicken's speeches and writings. 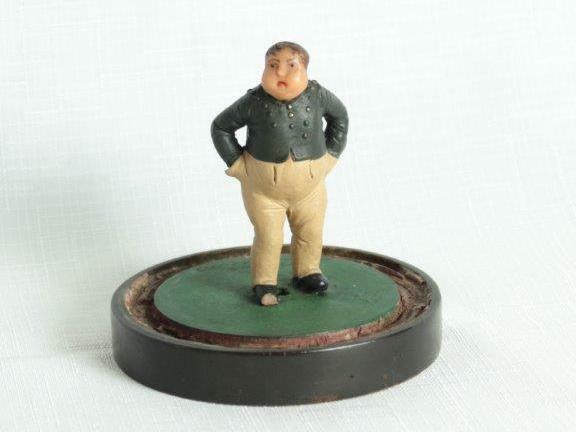 A sculpture of "Fat Boy Joe," a character from Dickens' Pickwick Papers. 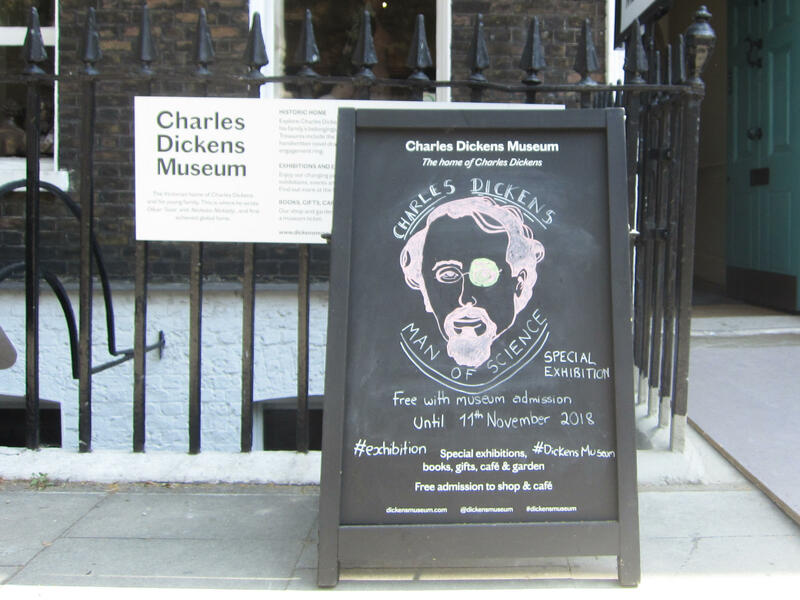 In London, there's a museum dedicated to Charles Dickens, housed in his old, lovingly preserved home near the King's Cross rail station. There are over 200 museums in London. This one wasn't anywhere near the top of my list. I hated the compulsory Dickens assignments in high school. To teenage me, slogging through the unremitting hopelessness of Great Expectations was absolutely agonizing. Bleak House? I couldn't get past the name. And as for the 743 pages of The Pickwick Papers? I was so traumatized by the other novels that I skipped the book and went straight to a study guide. No Dickens Museum for me! But in May it opened an exhibit called "Dickens, Man of Science." (The exhibit runs through November 11.) The idea that Dickens was interested in science was surprising enough that I figured I'd give the exhibit a chance. And I learned from the exhibit and from Dickens scholars that this bane of high school students was not just a Man of Science, but a committed and effective public health activist with a strong eye for general medicine as well. "Public health issues, sanitation, housing, slums." And more: "Hospital development, medical schools, proposals for health insurance, the problems facing new entrants to the medical profession, education for the disabled child." Not done yet! "Compulsory vaccination, water pollution and food adulteration, the need for restrictions on the sale of poisons, the care of fighting men brought back from overseas conflicts, the spread of disease and how to prevent it; what we would now call repetitive stress syndrome for workers using the newly-invented sewing machine; homeopathy, epilepsy, lead poisoning." And Dickens practiced epidemiology in the journals, and elsewhere. An article Dickens commissioned and edited compared mortality rates in a London slum to those in a specially designed housing project for the poor. The mortality rate in the slum was five to six times higher. In May of 1863 he gave a speech alerting the public to what had only been appreciated by a handful of epidemiologists at the time – that premature death was far more common in the poor than the rich. Williams counted 125 articles on public health, sanitation and water, another 289 on medical care, nursing, hospitals, surgery and doctors, plus several hundred more on social conditions, poverty, psychiatry and mental health. The exhibit credits Dickens as being a thorough student of medicine. He visited waxworks and anatomy museums, and walked the streets of London looking for people with injuries and diseases. He used the knowledge he acquired to describe "conditions not yet named by doctors," such as sleep apnea. There's a curative angle to his work as well – his good friend Florence Nightingale handed out his books to wounded soldiers so they'd have something to enjoy. Dickens even left his mark on medical history. An exhibit in the museum tells the tale of "fat boy Joe," a character in The Pickwick Papers. Joe constantly fell asleep, sometimes when walking. "That description entered into medical textbooks," says Adelene Buckland, one of the curators of the exhibit and a lecturer at Kings College London. William Osler, widely recognized as the founder of modern medicine, cited Joe as an example of a syndrome that occurs in some obese people: an uncontrollable tendency to sleep. The condition was initially called Pickwickian syndrome. Today it's obesity hypoventilation syndrome. Dickens had his neuroscience moments as well. A character in Dombey and Son is paralyzed on her right side, and just before she dies she loses her ability to speak, demonstrating what neuroscientists now know — that both a person's ability to speak, and their control of the right side of the body rely on an area in the brain's left hemisphere." The connections keep coming, says Buckland. "Retired doctors who read Dickens often find connections and publish little articles," she says. So there's a 1992 journal article asking what was wrong with Tiny Tim (the beloved character in A Christmas Carol) that could cause his short stature, asymmetric crippling, and curious intermittent weakness. The answer: renal tubular acidosis. But no! Others authors in other medical journals blame tuberculosis, rickets, malnutrition, cerebral palsy, and a malformation of the spinal cord. Not that Dickens was always on the right track — some of his medical ideas fall more into the science fiction genre: In Bleak House, a character spontaneously combusts. Dickens believed that electromagnetic fields could cure illnesses, and he thought cholera and typhus could spread through the air. One panel at the exhibit begrudgingly admits to the author's fascination with mesmerism, or hypnotism. "It's one of the reasons people hadn't thought about Dickens as being interested in science," Buckland says. "People looked at him and said he couldn't see between good and bad science." But that, she says, is an anachronism. At the time, mesmerism as a treatment for illness was a valid line of inquiry. "They just didn't know the answers we have now," she says. And he shared this interest with friend and noted chemist Michael Faraday. They were experimenting – doing science. Dickens successfully hypnotized his wife. And he tested out chloroform as an anesthetic, first on himself, and then on his wife during childbirth. He encouraged other people to use it as well, and after many of them died he still insisted the benefits outweighed the risks. But it's his influence on public health where Dickens' legacy is perhaps most impressive. Dickens thought it imperative that people did things with medical knowledge, says Williams. "The message of A Christmas Carol, that Tiny Tim will die if nothing is done for him, that's very strongly Dicken's argument," he says. "It's no good just to feel sympathetic. You have to take action." At a time when society was indelibly divided into the rich and the terribly downtrodden – he drew attention to working people laboring in dangerous factories and living in unsanitary ghettos with few public protections in place. He created charismatic, impoverished characters like Tiny Tim to generate sympathy among London's middle and upper class, getting readers to see poor people as human. He pushed the same idea in speeches. In Dickens' day, there were no separate wards for children in hospitals in England, and no separate specialty of pediatrics. In essays in Household Words, he argued for the establishment of a hospital dedicated to children. 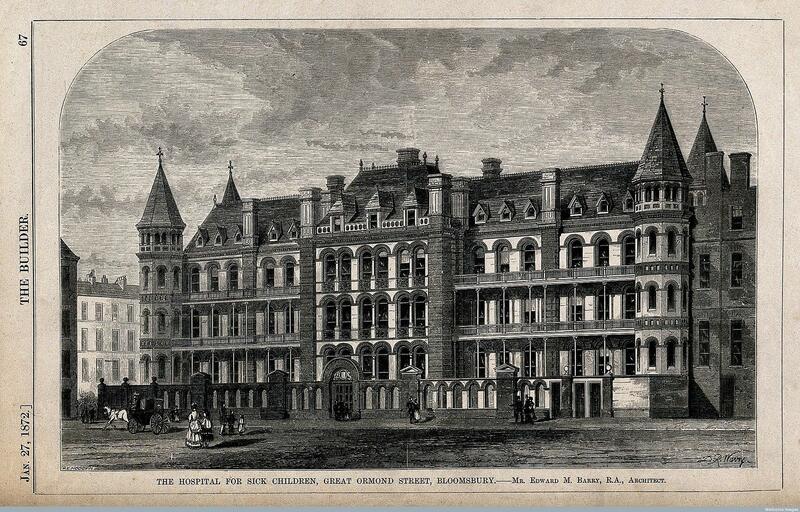 That hospital, now called Great Ormond Street Hospital, was subsequently opened, thanks to his efforts. He spared no words in lobbying the public for funding, describing an imaginary London where the bodies of dead children lined the streets. In an essay called "Drooping Buds," he noted that it was not natural "to men and women that they should see the glaze of death upon so many of the bright eyes that come to laugh and love among them ..."
Doctors of the day loved him, even though some of his physician characters were not particularly admirable. From the Lancet in 1865: "We are especially glad to find at our side Charles Dickens, the earnest and warmhearted opponent of social tyranny, one of the truest and most powerful friends of the oppressed, whether in middle or lower ranks of life." And The BMJ (then the British Medical Journal) ran an obituary of Dickens, citing the "rare fidelity" with which he described diseases and death, and noted that some of his descriptions of symptoms had appeared in medical journals of the day. But Dickens' own medical instincts failed him at the end of his life. According to his obituary in the Manchester Guardian, his sister-in-law told him he looked unwell, and pleaded with him to let her call for a doctor. "No," he answered, "I have a toothache. I shall be better presently." He soon fell unconscious, and died of a stroke. Still, by the end of the exhibit, it's clear. 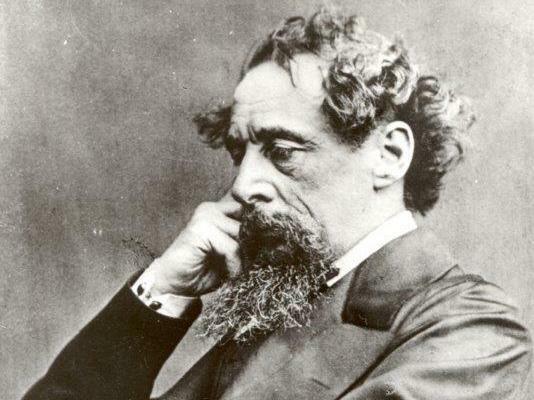 Dickens' lasting legacy is not just literary – he left his mark on public health and medicine, and deserves the attention of anyone interested in the history of those fields. So fie on the high school English teacher who failed to inspire me! Fie on adolescent me! I'm already on page 157 of The Pickwick Papers, and I'm quite liking it. Just 586 pages to go. Joanne Silberner is a freelance health and science writer who lives in London.